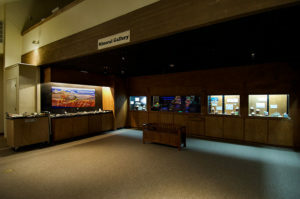 We meet monthly in the California State Mining and Mineral Museum to conduct club business and enjoy presentations by guest speakers. Our meetings are typically on the second Sunday, and we encourage bringing guests and dependents. Membership in the club entitles members to free entrance in the State Park. The September 2018 general meeting will be held on September 9 at 5:30 p.m. at the Mariposa Fairground stage area. Our September meeting is an ice cream social (we supply the ice cream and eating utensils, you bring your favorite toppings).